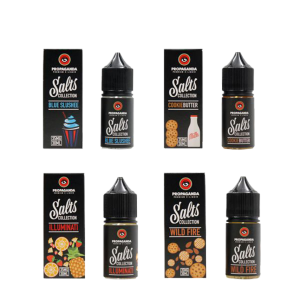 Vapetasia Salts pays homage to the original line-up with a nicotine salt blend. An enchanting mix of vanilla and custard flavors. Killer Kustard is the smoothest, richest and most delicious custard that you can get your hands on. 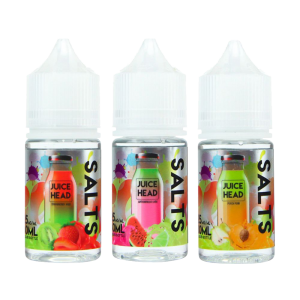 Our take on strawberries and cream is the perfect balance of flavor and sweetness that won’t leave your taste buds tired! 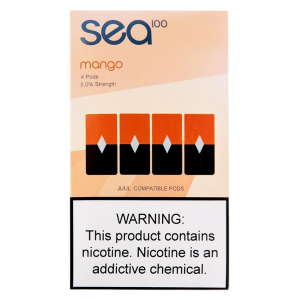 Velvety and luscious, the combination of rich cream and ripe strawberries dances on the tongue on inhale, and just as you thought it couldn’t get any better it exhales as smooth and complex as you’ve come to expect from Vapetasia. Arguably our most complex, and most unique flavor; Royalty 2.0 is appreciated by new vapers and veterans all the same. On inhale you’ll find notes of savory custard, nuts, and creamy vanilla; met with a mild earthy flavor that’s sure to please even the most discerning palates. On exhale you’ll be greeted by the smoothest, creamiest, and perfectly sweet flavor you’ve ever met. Sit back, relax, and take a ride through paradise on our luxurious gourmet e-liquid Pineapple Express! It’s all too easy to get lost in the luxury and refinement on-board another one of our favorite flavors. Pineapple Express is an incredible tropical blend with the taste of a big, ripe, juicy pineapple coming through with our trademark creamy smoothness.